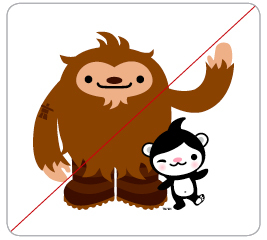 Also, how not to illustrate Quatchi — what, no earmuffs? LIke Quatchi way better with the ear muffs! But he is cute no matter what!